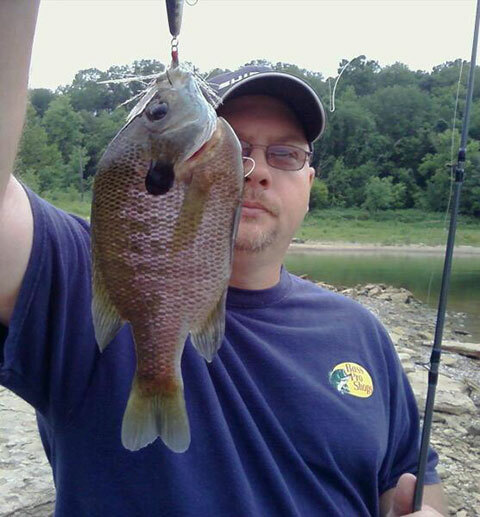 Bluegill and other sunfish are among some of most popular fish for anglers to catch. They are found in ponds, lakes, and rivers, and are often the first fish caught by many anglers when they began the sport of fishing as a child. Don’t be fooled by their size and beauty, these fish are aggressive predators and will strike both artificial lures. During the fall, with the water temperatures in the 70- to 75-degree range, it is the best time to pursue the sunfish as they often move around due to changing light, water temperature, forage and cover. 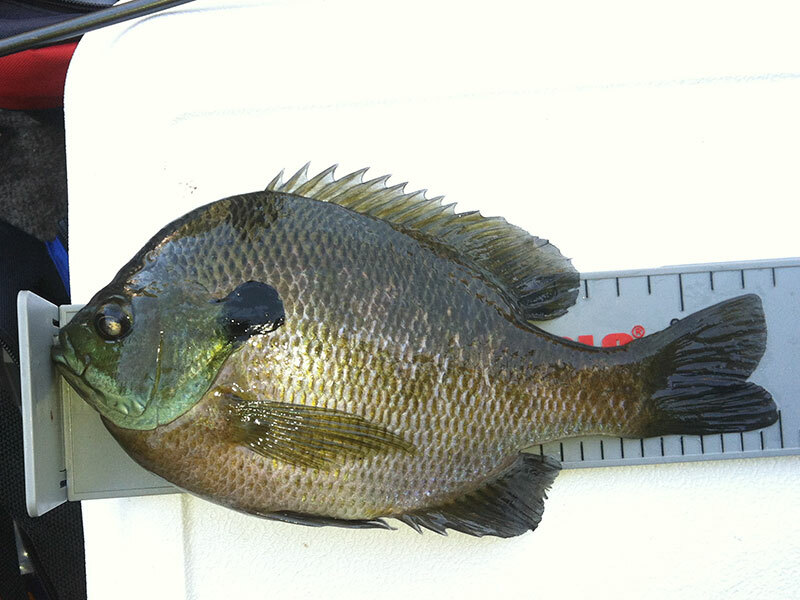 Bluegills and sunfish are found all over the country in all types of water from streams to lakes and rivers. When an abundance of large bluegill is found in a lake or pond this usually indicates that the largemouth bass population is so abundant that their growth rates have been slowed down. Although this does not make the best environment for bass fishing, numbers of larger bass make a great situation for some trophy bluegill fishing. As it was explained to me, smaller bass will feed on the small bluegill and the competition for food among the bass is limited. 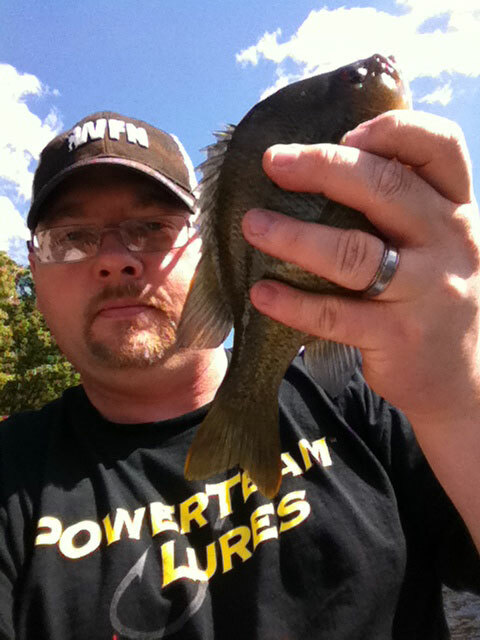 This allows the surviving bluegills to feed and grow to trophy sizes. If a lake has a slot limit on bass in the 12- to 15-inch range, this often means the lake has an abundance of small bass protected that feed on bluegills. 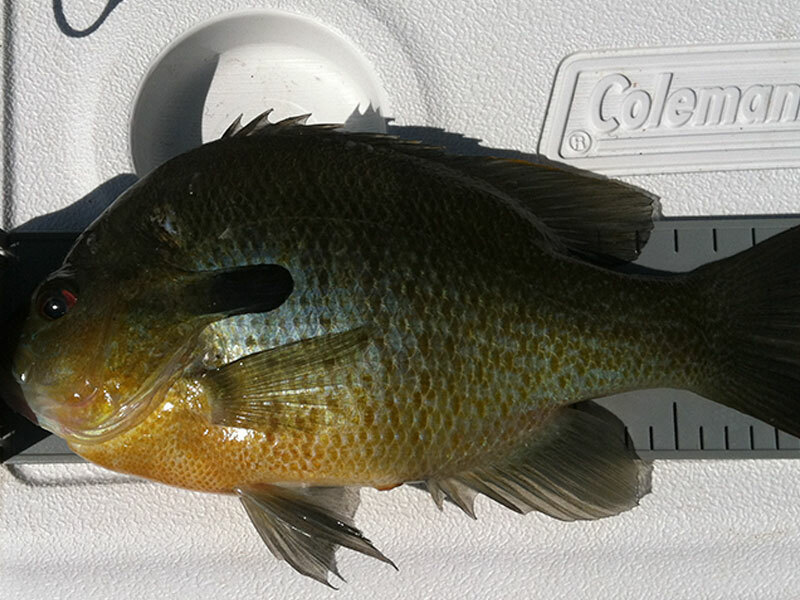 Too many bluegill can be harmful to a body of water and to the bass population, not only for competition for food, but bluegill can wipe out a bass population by eating the eggs of spawning bass and also stressing larger older bass trying to protect the beds. In early fall, fish for bluegill and other pan fish near the edges of weed beds, brush piles, around docks, submerged trees, drop-offs and other areas with quick access to deeper water. Keep the bait in the strike zone between 10 feet and 12 feet to catch the big bulls. When fishing for these fish with light line and tackle they can be great fun to catch. As you can see in some of these pictures, the big ones are often caught accidentally by bass anglers targeting bass with crankbaits and spinnerbaits. 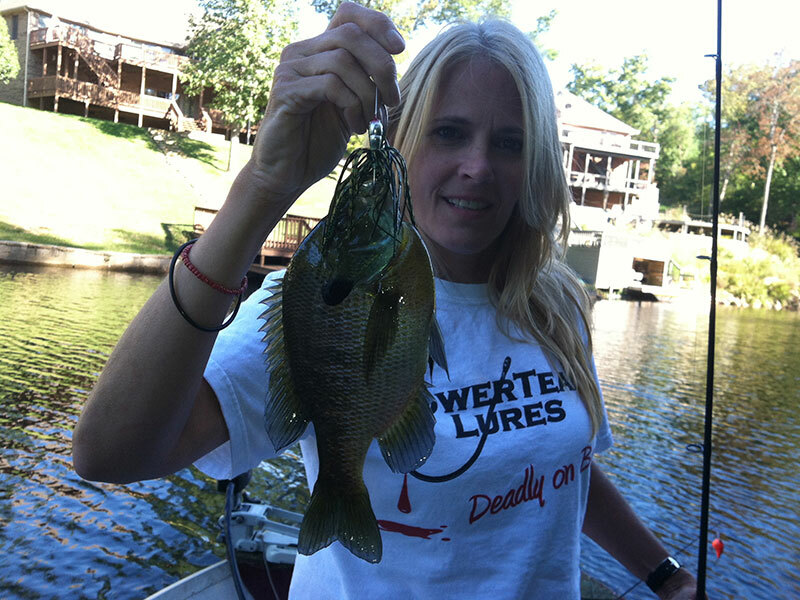 Anglers play an important part in managing a lake’s bluegill population. 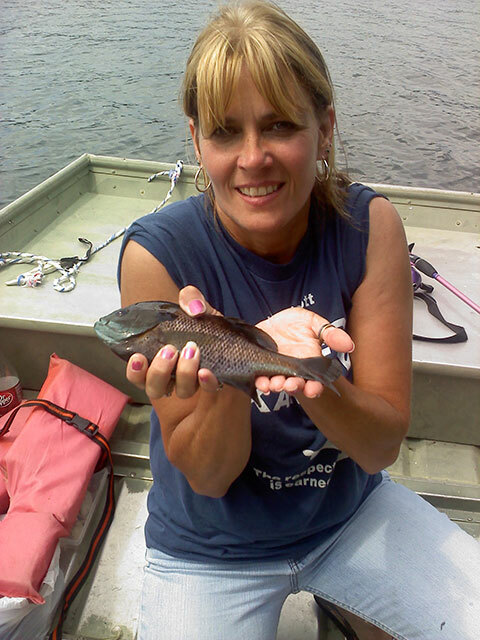 Those anglers fishing for food can do the lake and the bass a great favor by keeping a limit of pan fish. Creel limits will vary from state to state and even one body of water to the next , so be sure to check your local regulations when fishing to keep the fish for dinner.